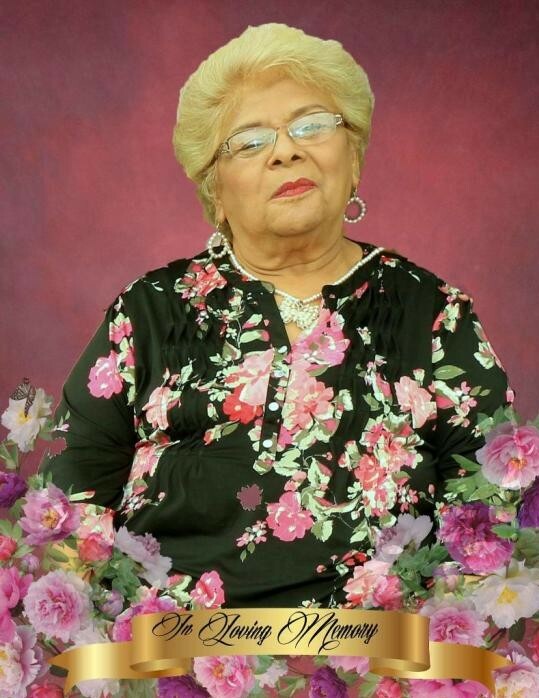 McAllen - Mrs. Francisca Paredes, 76, entered into eternal rest surrounded by her loving family on Friday, March 22, 2019 at Amara Hospice in Edinburg. Francisca was born on August 21, 1942 in McAllen to the late Francisco and Luz Morin. Francisca was preceded in death by her husband Cristobal Paredes, Sr. and her two grandchildren, Baby Boy Morin and Baby Girl Morin. Left to cherish her memory are her four children: Rafael (Mari) Morin, Eduardo (Janie) Morin, Cristobal Paredes, Jr., and Joe (Vianney) Paredes; three sisters and one brother; 15 grandchildren, and 7 great grandchildren. Francisca enjoyed caring for all her grandchildren, was a member of St. Joseph the Worker Catholic Church for many years and was an active member at Santa Cruz Adult Day Care for numerous years. Visitation will be held on Monday, March 25, 2019 at Rivera Funeral Home in McAllen from 1:00 pm to 9:00 pm, with a rosary being held at 7:00 pm. Funeral Mass will be held on Tuesday, March 26, 2019 at 10:00 am at St. Joseph the Worker Catholic Church in McAllen. The family would like to thank the nurses at McAllen Medical Center ICU and the Nurses and Staff at Amara Hospice. Funeral arrangements have entrusted to the care of Rivera Funeral Home of McAllen.